Jessie's House & Carpet Cleaning is a premier residential cleaning business providing a diversity of quality essential home maintenance services for over 17 years. We are a Christian faith based family/woman/locally owned & operated small local organization. We have been serving the Jacksonville, Jacksonville Beach, Ponte Vedra Beach, Nocatee, St. Augustine Beach, Neptune Beach, Atlantic Beach, Orange Park, Julington Creek, Green Cove Springs, Middleburg, and all the Northeast Florida area for over 17 years. NOW, IT TAKES LESS THAN A MINUTE TO BOOK ONLINE! 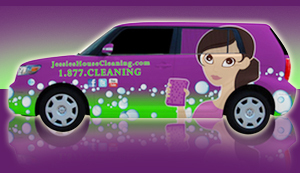 BOOK YOUR CLEANING APPOINTMENT FROM YOUR SMARTPHONE, TABLET, LAPTOP OR DESKTOP COMPUTER. For your Convenience Book your Home Cleaning or Carpet Cleaning Appointment Online.